This tender bridal portrait that I captured as a wedding photographer photographing this beautiful bride- woman in streets of Firenze in Tuscany. I posed bride to highlight her woman curves but still keep soft of bride beauty. Elegant wedding dress produced of italian lace support beauty of bride. In her hands is romantic wedding bouquet from blush roses. 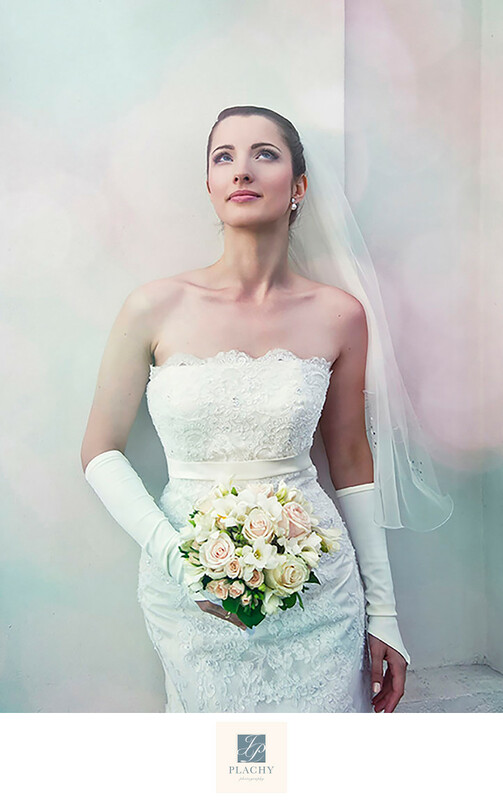 Bridal gloves on hair arms support glomour of this bridal portrait captured by me as wedding photographer in Firenze. I hope i will have again opportunity work for bridal couple who is looking for luxury wedding venue in Firenze. This bridal portrait was captured at hotel Portrait in Firenze. Hospitality is an art, and Portrait Firenze has made of it a masterpiece. Portrait is not a hotel, it is an incredibly personal place, an all-suite property, where discerning travellers find the exclusivity they relish. It is amazing place for your luxury romantic wedding in Firenze. This bridal portrait photographs was choosen by chef editor of Professional Photographer magazine in UK as a pick of month. Location: Lungarno Acciaiuoli 4, 50123, Firenze, Italy. Keywords: bridal portrait (3), Firenze (3), Italian wedding photography (3), Italy (3), luxury wedding photographer (3), wedding photographer (3). Filename: luxury-bespoke-wedding-photographer-plachy-002.jpg.